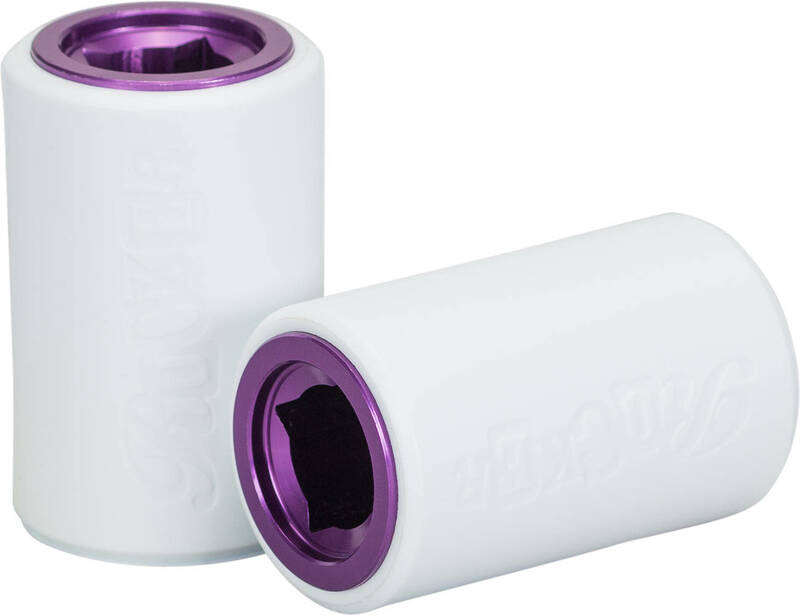 The Pegs from Rocker is made to be as slidable and grindable for mini BMX as possible. Thanks to the use of replaceable plastic sleeves you can use a lot more surfaces for grinds. You won't need near as much wax as before. The Pegs comes with a set of two pegs and fits with the Rocker mini BMX Irok. After 3 months of searching we found just what we needed at skate pro. My grandson loves the plegs!